Marine Stereo & Speakers. While spending time on your boat or yacht, stay informed of local weather or enjoy your favorite tunes by installing a marine grade stereo system. This type of equipment is designed to withstand the elements. 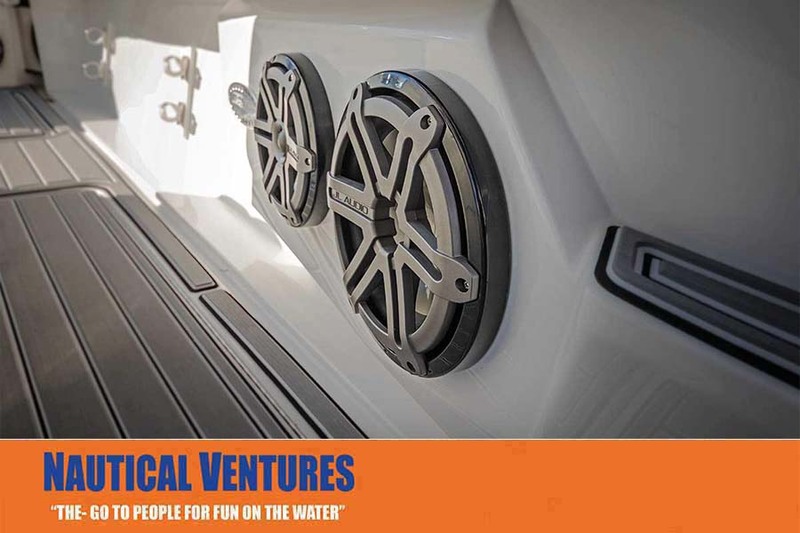 Resistant to water, humidity and salt water a good quality marine sound system will help you maximize your fun on the water. Extra Dock Lines. Having the right amount of dock lines aboard your boat can mean the difference of safe mooring or damage to both your vessel and structure. A proper rule of thumb is two dock lines for the stern, two lines for the bow, and a spring line starboard and aft. Inspect your lines periodically and replace them at signs of wear and tear. Portable Cooler. Choosing the right portable cooler is essential for any day on the water. 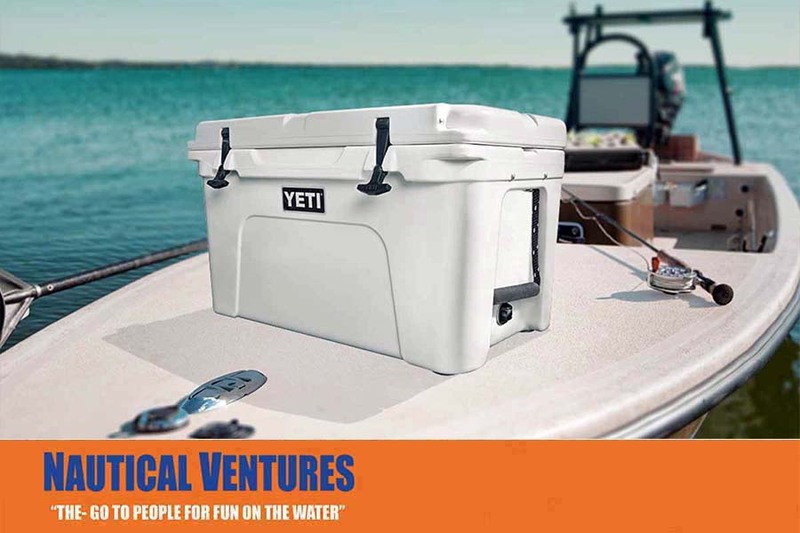 There are many options on the market, our team’s advice is to choose a rugged, roto-molded cooler that can hold up to sun exposure, is rust resistant, slip proof, and also provides high ice retention. Make sure to pack enough water for you and your crew to stay hydrated. Fishing Rods & Tackle. 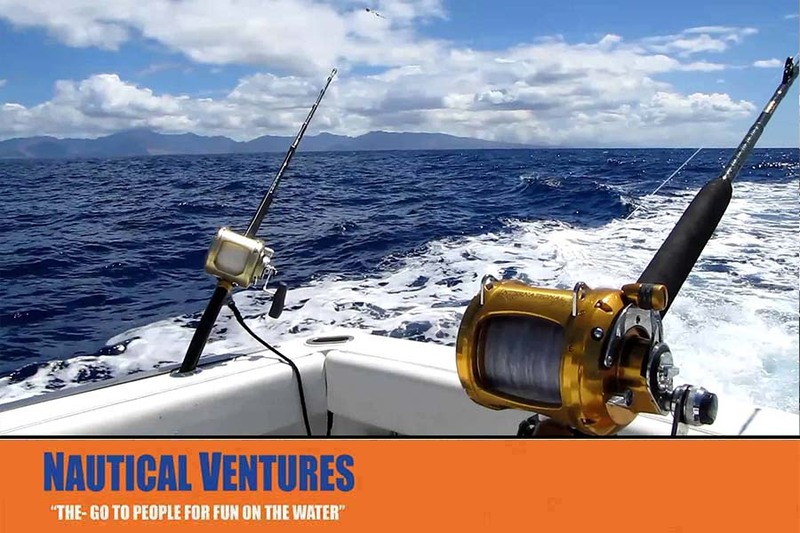 A great day for any angler is a day on the water. Don’t forget to grab a few rods, some tackle and bait and you’re set. Any boat can be a fishing boat. Where there is a will there is a way. UV protectant. Sunscreen, appropriate clothing such as long sleeves, hats, gloves etc. 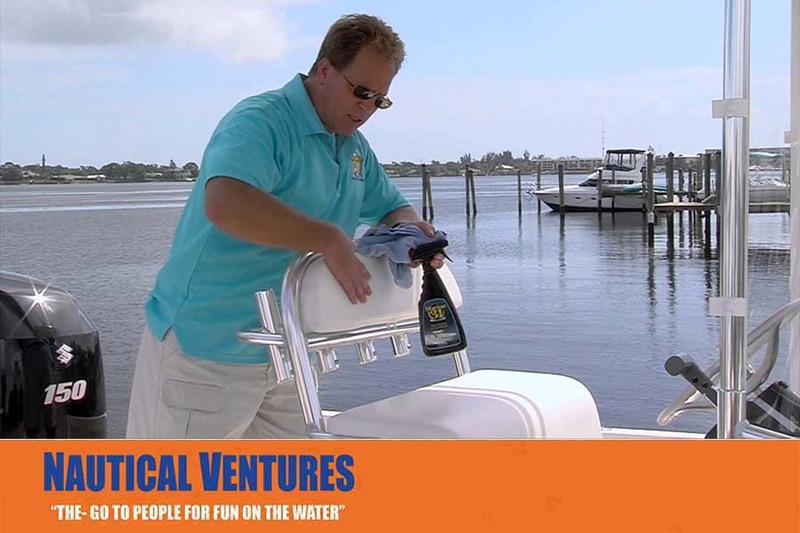 These items will provide you the protection necessary to stay on the water longer without the worry or damaging effects from the sun and heat. 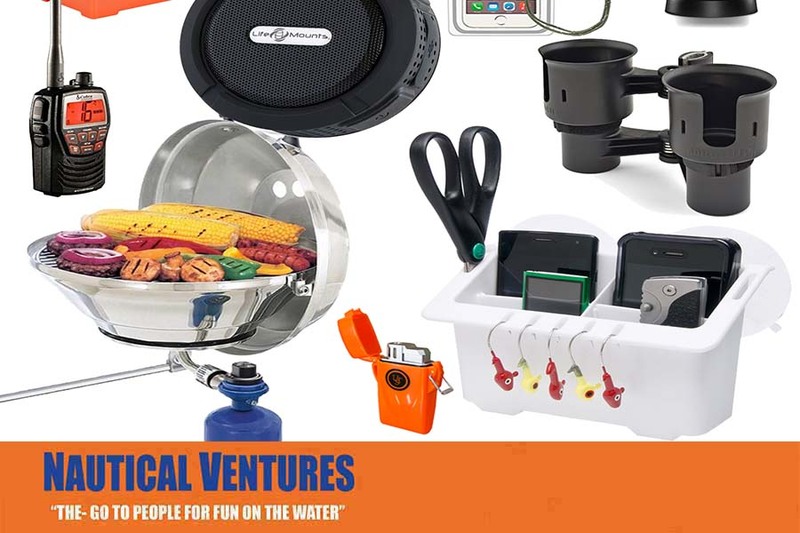 When it comes to boating accessories in Palm Beach and Fort Lauderdale, Nautical Ventures has been serving the South Florida market for over 30 years. They’ve been helping boaters in Palm Beach County, Martin County, Broward County and Dade County get on the water to enjoy trouble-free boating. 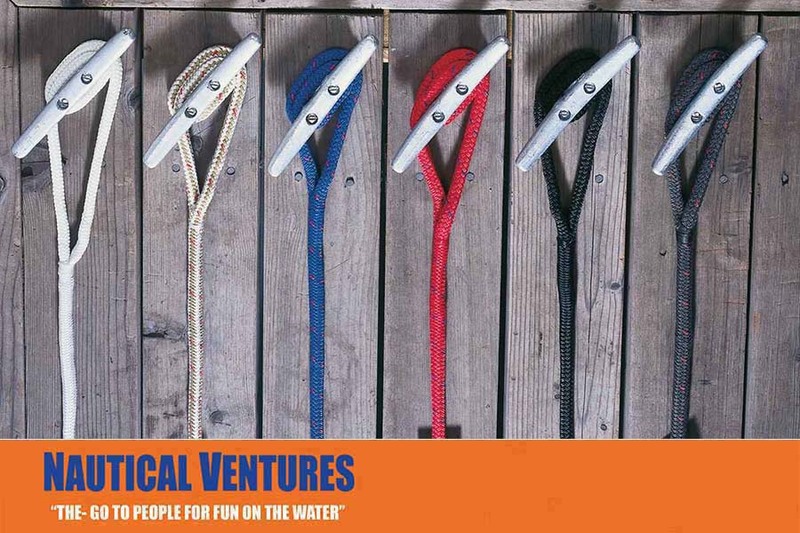 Remember… you’re not just buying boats accessories - you’re buying the experience.